The Food Service Sprayer is specifically manufactured for use in the hospitality industry to support the food and beverage service. 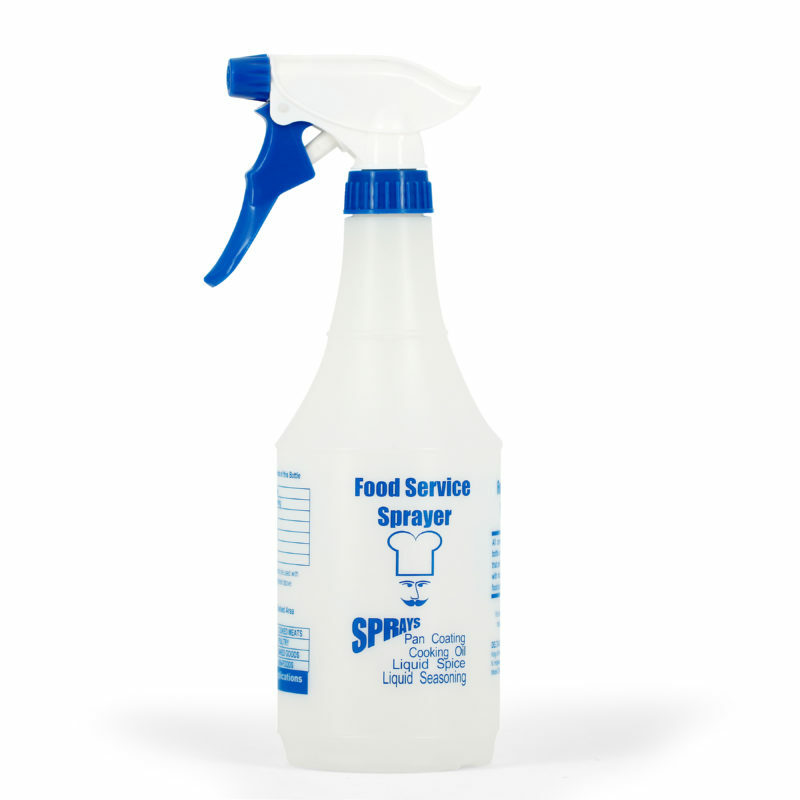 Local, State, or Federal Health requirements and hygiene standards often mandate that sprayers used in or around food service have certain characteristics. This sprayer is manufactured with resins and colorants that comply with all FDA regulations. This sprayer is not water tested, so there is no residual water within the sprayer. Case dimensions (inches): 32.62" x 11.37" x 12.12"
Pallet Dimensions (inches): 40" x 48" x 44.36"